About Beal Industrial Products | Beal Industrial Products, Inc.
Beal Industrial Products specializes in the sale and service of industrial batteries and chargers. Since opening our doors in 1980, we’ve developed into the largest battery and charger company in Maryland, and have come to serve the entire Mid-Atlantic region. Our growth is due in part to our dedication to supply the best possible service at a fair price. We pride ourselves in representing excellent selection of quality, first-rate products recognizable in our industry for durability and long life. In 1999, we expanded our operation to include forklift rebuilding and repairing, services that to this day are some of our most popular client requests. 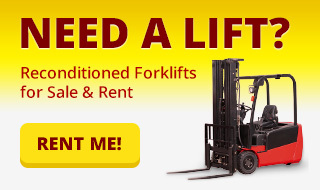 In addition, we offer value-priced lift trucks for rental and sale.